Are you looking for a useful baby gift, for a birth, adoption, baptism or birthday ? 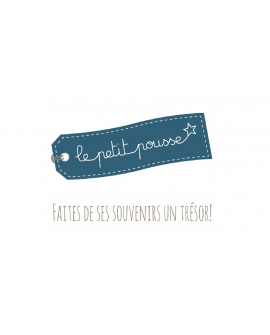 Le Petit Pousse has created original products to keep souvenirs of his/her early years. A useful gift that baby will keep all her/his life.